Born in 1970, lives and works in Helsinki. 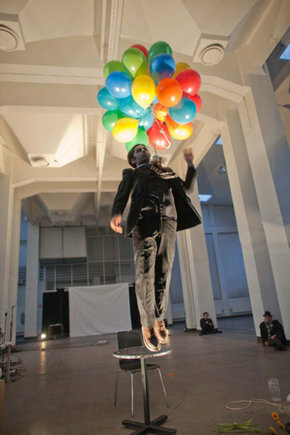 Tomasz Szrama graduated from the Fine Art Academy in Wroclaw, Poland (1998) and has since 2005, been one of the organizers of New Art Contact performance art events, and in 2011 he co-organized the Fake Finn Festival of Experimental Art. Szrama also documents live art events. He presently works at the Helsinki International Artist Programme (HIAP). Tomasz Szrama has participated in many festivals all over the world, amongst others : Live Action New York (2010), Infr'Action Sète (2011), and Guangzhou Live (2012).